Solultion Partners | NUUO Inc.
NUUO has been devoting itself to seek the integration with different partners in license plate recognition(LPR), access control, video analytics, storage... and many other solution partners in the market to bring out the best value for our customers. As a leading vendor in worldwide IP surveillance market, we have been devoted to technology, R&D, production and sales of IP surveillance devices. We provide full range of IP surveillance devices and comprehensive surveillance solutions for enterprises, public utilities and home users. ACTi Corporation is the technology leader in IP surveillance, focusing on multiple security surveillance market segments. ACTi's extensive technology innovations in the development of JPEG/MPEG-4/H. 264 has empowered ACTi's worldwide partners and customers to enjoy best quality video performances from VGA up to Megapixel resolution at minimum bandwidth. The core value of ACTi is the ability to develop, integrate and market complete end-to-end solutions for our clients in the IP surveillance market. ACTi's technology advancements enable complete solution offerings to cover all segments of the security market. The manufacturer of AirLive products, OvisLink Corp. was founded in 1993 in Taiwan by a group of industrial experts who set out to provide the best combination of quality, service, technology and value in the industry. Today, OvisLink Corp. is an international corporation, total networking solution provider with over 200 products and with hundreds of distributors around the world. Our industry technology leadership is indisputable. Moreover, OvisLink Corp. entered the network surveillance market in 2008 with the AirLive series and became the major provider of IP surveillance solutions. In , you can be sure that we will provide you with the latest innovative solutions. American Dynamics video technologies are part of the Security Products business unit of Tyco (NYSE: TYC), the world’s largest pure-play fire protection and security company. American Dynamics continuously advances video technology via its IP solutions, while leaving no customer behind – ensuring backwards compatibility at every step. Including its powerful enterprise analytics platform, the American Dynamics portfolio provides everything required for a complete, state of the art video surveillance system. American Dynamics solutions work seamlessly with Tyco Security Products access control products, as well as with other important business applications, to provide customers with greater ease of operation and faster access to the information they need in critical situations. To learn more about American Dynamics solutions, visit www.americandynamics.net. Arecont Vision manufactures HDTV surveillance IP cameras and software. Leveraging its proprietary MegaVideoR technology, the company offers the world's fastest multi-megapixel (8M, 5M, 3M, 2M and 1.3M) network cameras supporting full-motion video frame rates. Arecont's new line of H.264 high definition cameras provides security professionals with the flexibility of various frame rates and resolutions for a variety of applications. Arecont Vision camera solutions deliver unparalleled clarity at an unbeatable price providing vastly superior alternative to analog CCTV. Asoni Communications is fully dedicated in developing integrated Network Surveillance Solutions. We insist to supply the IP cameras coming with the most useful features, easy-applied installation, superior quality and stability to benefit our customers. With strong technical team, we proudly provide the most instant service to our customers. As one of the pioneer in the surveillance market, we offer 5-year warranty for our 1080P IP camera. We will consistently introduce the advanced products to our client. ATV has been a force in the security business since 1983, delivering unmatched reliability and value to the security industry. Today we’re stronger than ever, with a complete lineup of CCTV and IP products that set industry standard for dependability and support. Our IP cameras, NVRs, and Hybrid recorders are loaded with features you won’t find anywhere else at the same price. And we back those products with the best customer service and technical support available anywhere. It’s clear; ATV offers just what you demand. Axis is the global market leader in network video. We were first to bring the benefits of network video technology to professional video surveillance and remote monitoring applications, introducing the world's first network camera in 1996. With more than two decades of experience in networking technologies, the largest installed base of network video products, as well as strong partnerships with leading players across all continents, Axis is the partner of choice in network video. Basler (www.basler-ipcam.com) is a leading German manufacturer of digital cameras for industrial, medical, and traffic system applications, and for the video surveillance market. Basler has designed and manufactured high-quality digital cameras for over 10 years, and has more than 20 years of expertise in image processing. Our products are world famous for excellent image quality, versatility, reliability, ease of use, and ease of integration. 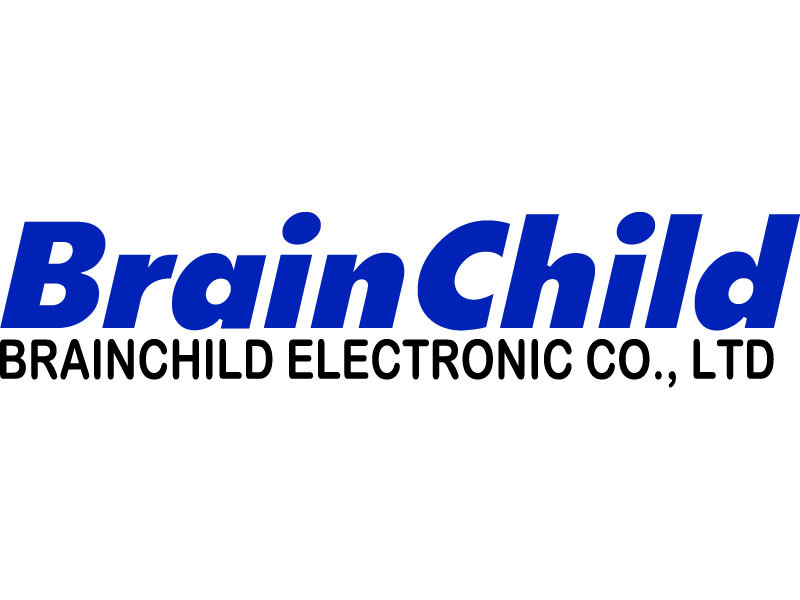 BrainChild has been dedicated to designing and manufacturing industrial products since 1977. Our high-definition IP Cam products have been widely deployed in factory automation and also highly accomplished for usage in the field of public and household safeguard. With more than 30 years of worldwide experience, we have built a good reputation based on the precision and durability of our industrial products as we don’t make any compromise for quality. With the same philosophy of offering quality products, we are taking a step further toward home security solution, which on the basis of IOT technology integrates our IP Cam, near/remote control of smart lock and home security monitoring devices. Our solution is to provide a secure and energy-saving housing environment. Headquartered in Taiwan, Brickcom Corporation is a leading manufacturer of IP surveillance equipment and a pioneer of wireless surveillance solutions. The company's comprehensive product portfolio includes a full line of IP network cameras, video servers, video management hardware and software, and a full range of networking and camera accessories. Brickcom's BrickOne Solution® can provide a complete wired or wireless IP security system for residential, commercial, and industrial environments. Bolide Technology Group, Inc. is a world wide major manufacturer and ISO 9001:2008 certiï¬ed Distributor of CCTV surveillance products and accessories. With a prestigious history of over 15 years offering high-quality, cutting edge products along with exceptional customer service, Bolide has become one of the fastest growing companies and most sought after suppliers in the industry. Bolide provides a complete line of CCTV equipment from cameras, iPac cameras, Digital Video Recorders, Matrix Systems and Monitors to accessories such as Cables, Connectors and Power Supplies. Moreover, Bolide continues to add new technology to its already extensive line of CCTV products & accessories to meet the constantly growing demand of its clients and partners around the globe. From its impressive new state of art 26,000-square-foot headquarters located in Southern California and through a responsive network of sales representatives across the states, Mexico and Latin America, Bolide offers the best valued high performance security products in the market. Our mission is to provide our partners the best selection of the highest quality products with outstanding customer service. The Bosch Group is a global supplier of technology and services. With some 275,000 associates we generated sales of 38.2 billion euros in fiscal 2009. Within this organization, Bosch Security Systems hosts 11,600 employees and has generated 1.35 billion euros in fiscal 2009. Bosch Security Systems is a manufacturer and supplier of security, safety and communications products, systems and services all around the globe. Our product portfolio includes video surveillance systems, Access Control, Intrusion Detection, Fire Detection and Evacuation Systems, Management Systems, Public Address and Conference Systems, Professional Audio Systems and Care Solutions. As a manufacturer, Camtron has supplied diverse CCTV cameras and security applications for more than 10 years. Our state-of-art technology products with reliable quality have been chosen by many customers all over the world. Our hope is to be a reliable partner for the future of a security world. For this purpose, we are always open to grip on customer real needs. CNB Technology Inc., is a total security solution company and one of the leading manufacturers of digital video surveillance products in Korea. We have developed and manufactured a comprehensive line of top quality security products for a worldwide market. Our goal is to provide excellent goods and services to our customers and to make greater strides in the security industry. COP Security has devoted in CCTV industries for more than 20 years. Starting from analog system and now ready for upcoming digital era. Over the last twenty years we have established a business based in the Taiwan and supplied all range of CCTV products to Asia, Europe, American and beyond. Now, we are preparing IP solution to our customer, such as Mega Pixel IP CAM, NVR and accessories. CORUMcctv company was founded in 2007, and for this modest amount of time its products have gained a niche in the market surveillance systems. The company began with the production of analog cameras, which can satisfy any customer problems. The catalog includes cheap camera equipment for private clients and high-resolution camera. In 2010 the company expanded its product line and began to produce IP-megapixel cameras, recording systems and related equipment for the construction of network video surveillance systems. The company CORUMcctv does not stop progress, seeking and implementing new solutions and technologies in their equipment. Dahua Technology Co.,LTD., headquartered in Hangzhou, is a professional manufacturer in the security and surveillance field. Over the past 10 years, Dahua Technology has grown into an all-around well developed company in terms of its product portfolio, ranging from CCTV products to IP solutions. With the spirit of integrity, professionalism, responsibility and innovation, Dahua people will continue to spare no effort to develop new and better products to serve our customers. Digimerge Technologies Inc., is dedicated to serving the requirements of the professional security market. "The Benchmark for Value in CCTV". The brand distributes its products through major distributors and CCTV/IP integrators in North America. Digimerge offers advanced features and exceptional quality across its family of products: including a complete range of high resolution, ultra-high resolution and IP Network cameras, network digital recorders and integrated surveillance systems. Digital Watchdog specializes in manufacturing and deployment of analog & IP security solutions, offering a variety of cameras, video recorders, hybrid recording capability, and a full line of IP surveillance technology products to match any scale application. DW aspires to provide professional security solutions on an economical basis without sacrificing quality and reliability. Visit DW’s website to learn more about their products and services. Founded in 1986, D-Link is a global leader in the design and marketing of advanced networking, broadband, digital, voice and data communications solutions. Following our company motto, "Building Networks for People", D-Link continually meets the global networking and connectivity needs of digital home consumers, small office professionals, small- to medium-sized businesses, and enterprise environments. DynaColor Inc., headquartered in Taipei, Taiwan since 1991, specializes in CCTV/ digital/ IP surveillance products, including megapixel IP cameras, speed dome cameras, DVRs, and more. Leading technology and market-driven orientation have been the keys to DynaColor’s success. Through focused management and experienced engineering resources, DynaColor quickly identifies, enters, and excels in each planned product and has been achieving continuous and steady growth and has established its own excellent reputation in the world market. eneo has been an established brand for closed circuit television for over ten years and is only available to professional installers and dealers. The product portfolio is characterised by its extensive variety, outstanding cost-performance ratio and certified quality. But eneo has far more to offer than just a comprehensive product range and attractive prices. Service features, supporting you in the best possible way with the range of products or in questions regarding installation and start-up, as well as an expert team for maintenance, repair and manufacturing make eneo a brand worth using. The company was founded in 1972 Denmark Europa and is today one of the world's most established and innovative manufacturers of a wide range of video surveillance equipment such as IP megapixel camera, analog cameras, video matrix systems, digital video recorders, video transmission equipment for twisted pair, fibre cables, passive video transceiver, telemetry receivers, camera housings, brackets, full range of CCTV lenses, passive infrared detectors and complete LON based CCTV systems. Etrovision Technology is the industry leader in designing and marketing high-quality digital video products for both professional enterprises and consumers. “Simplify Your Innovation” is the spirit that drives Etrovision to deliver elegant, practical IP surveillance solutions to achieve your business or personal objectives. Our customer focused approach produces greater collaboration with our customers to create flexible business strategies and establish long term relationships. EverFocus Electronics Corp. is a leading manufacturer of CCTV cameras, DVRs, access control systems , IP solutions and other CCTV and access control peripherals. Headquartered in Taipei, Taiwan, EverFocus has offices located around the world including the U.S.A (California & New York), Germany, China and Japan. EverFocus offers quality products, superior technical support, project design consultation, educational trainings and many more to meet the demands of our customers worldwide. We believe the key component to success lies in the development and quality of our products and excellent customer service . With very dynamic team, Eyeview always offers very technology-leading, reliable and versatilely compatible products in IP and CCTV complete system, our products include wide-range of IP Speed dome camera, IP IR Camera, IP Box camera. Quality, Service and Value are the philosophy of our company to offer to our customers. We, Forenix Inc., headquartered in Taoyuan , Taiwan, are dedicated to provide total surveillance system solution ranging from analog, to IP, and to HD-SDI security systems to fulfil our customers’ specific demands. With our professional knowledge and rich experiences in project managing, we not only give the best quality product, but also provide our customers with superior post-service support. Our mission is to deliver the best value to our customer, and we believe the key to success is by constant hard work and non-stop improvement. Our vision is to constantly and steadily grow and expand to deliver our values worldwide. Finest Security Systems Co., Ltd was established in 1976, as professional developer of intelligent video surveillance, we possess a knowledge of manufacturing , designing , and achieving your desired level of products. Finest strategy in the market is to offer one stop solutions. With emerging needs of surveillance today, Finest seeks out technology and form a strategic alliance with technology-driven manufacturing firms of different product categories such as the Fiber Optical Transceiver devices, UTP Transceiver, Digital Recording systems, and IP solutions to provide end to end systems with cost effective that are partical for customized applications. Our premium grade of services and quality, supported by a team of professionalism makes Finest stronger ever. Grandstream Networks, Inc. is an award-winning designer and ISO 9001 certified manufacturer of next generation IP voice, video, and video surveillance products for broadband networks. Grandstream’s innovative products deliver superb sound and picture quality, rich telephony features, full compliance with industry standards, and broad interoperability with most service providers and 3rd party SIP based VoIP products. Grandstream is consistently recognized in the VoIP industry for their innovation, affordability and superior value in their products. Guardeon has existed as an independent Brand since 2006. Guardeon specializes in high quality IP Cameras and DVRs with an excellent performance at a low cost. We only provide products that have been developed and manufactured specifically for use in the CCTV video surveillance and security industry. Our goal is to provide products that exceeds the customer expectations at the best possible cost. Guardeon always looks out for building strong partnerships with leading players in the security market. Hikvision Digital Technology Co., Ltd., the leading supplier of digital video surveillance products with the headquarters in China, has three decades of experience in research and development of video technology. Since its establishment in 2001, Hikvision has launched several generations of high performance surveillance products to build up a complete video surveillance product line. From A/V Compression Boards, Embedded Net DVRs and Multi-purpose Digital Video Servers, to networked front-end products such as IP Cameras and IP Speed Domes, Hikvision provides the most advanced H.264 solution for digital surveillance industry based on its owned patented algorithms. As China professional IP Camera developer and manufacturer, OEM & ODM provider, Shenzhen Huanghe Digital Technology Co., LTD. had been established September, 2005. We have developed full series of network video products, include H.264 megapixel IP camera, network video server, network video record. video management software. We own all source code of our products and can provide professional OEM and ODM customize service for global customer. Hitron, as a leading manufacturer in the field of security and surveillance industry, engages in the development and manufacture of security, video surveillance products and security components for professional, commercial and residential application, which include analog, digital and IP cameras; digital video recorders; network CCTV products; display units; observation systems; quad, switcher and multiplexer; accessories of housing and cables, and other components. Hitron has been founded in 1986 and headquartered in South Korea. Honeywell International is a Fortune 100 diversified technology and manufacturing leader, serving customers worldwide with aerospace products and services; control technologies for buildings, homes and industry; automotive products; turbochargers; and specialty materials. As a leader in security with products that protect millions of homes and businesses ranging in size from entry level to enterprise, Honeywell Security offers an extraordinary portfolio of intrusion, alarm communications, video surveillance and access control technologies for any application. A core group of expert engineers from the embedded network and multimedia appliance industry founded iCanTek in July 2000. iCanTek Co., Ltd. develops and manufactures highly innovative network video convergence products. Based on state-of-the-art technology, our core products are IP cameras, video servers, and “market driven” network solutions. Our affordable array of software solutions meets demanding enterprise applications, or simple “every day” needs. "iMege" brand which leverages Ingrasys cutting-edge network and imaging technologies to provide clear, crisp images for IP surveillance products. iMege has dedicated to developing state-of-the-art megapixel monitoring appliances to meet customers’ needs. With the advantages and techniques, remote monitoring become more convenient from anywhere and anytime through global network connectivity. With the mission to enable people to see everything, everywhere at anytime around them, ImmerVision is leading the innovation in 360° panoramic imaging with its patented 360° Panomorph optics and immersive viewing functionality. ImmerVision Enables® is an assertion that a viewing device can interpret the 360° panoramic image when using cameras equipped with 360° Panomorph lenses, allowing users to navigate within the live or recorded image. An ImmerVision Enables solution provides buyers with enhanced security by eliminating blind spots, heightening situational awareness and allowing the reconstruction of entire events on the spot. IQinVision is the world leader in megapixel IP video. Since 1998, IQinVision has been designing, manufacturing, and marketing the IQeye family of high-performance network cameras, intelligent cameras, and network video recording (NVR) systems. Committed to leading the industry with highly-valued products and customer service, IQinVision was first to market with HDTV and megapixel cameras and has received numerous awards. IQeye cameras are renowned for image quality, stability, and reliability in the most demanding network conditions and environments. IQinVision is a privately-held corporation headquartered in San Juan Capistrano, California with regional offices in Lancaster, Pennsylvania and The Netherlands. Jetstor ( China ) focus on R & D and production of various types of network cameras , network monitoring platform management systems, network video storage servers , remote backup , remote disaster recovery , dual controller array , multi- cluster failover software , SAN management software and data security , to provide a total solution for monitoring and storage. JVC offers professional electronics products and distributes a complete line of broadcast, professional, presentation and security equipment. These include cameras, professional camcorders, DVD recorders, high definition monitors, editing equipment, video/data projectors, video data recorders, storage systems and video security products. Since 1927 the JVC brand name has been associated with the very best in audio and video technology, and that continues to this day. LevelOne has been a market leader in providing networking solutions since 1991.We benefit form having access to the latest market trends and innovations as we are represented in all markets around the world. This is ensured by global product management team, with 19 branch offices worldwide. With over 18 years in the business, we have all the network solutions you need for any type of networking scenario deployment. You can contact us at sales@level1.com for detail. LG Electronics, Inc.(LG) is a global leader and technology innovator in consumer electronics, mobile communications and home appliances, employing more than 84,000 people working in 112 operations including 81 subsidiaries around the world. With 2008 global sales of $44.7 billion, LG comprises of five business units - Home Entertainment, Mobile Communications, Home Appliance, Air Conditioning and Business Solutions. LG is one of the world's leading producers of flat panel TVs, audio and video products, mobile handsets, air conditioners and washing machines. LG's efforts continue to enhance the global presence of the LG brand and to maximize profitable growth. In particular, LG Electronics will focus on achieving profitable and sustainable growth in the mobile communications and home entertainment sectors to strengthen its leadership in the IT industry, while at the same time increasing its market share in the home appliance, air-conditioning and business solutions sectors. Before Audit, as of 2008, Unconsolidated. LILIN are dedicated to becoming one of the world's leading providers of IP Video solutions. We focus on delivering products that help our customers benefit from the latest IP CCTV technology. The LILIN product line ranges from megapixel cameras, hybrid digital video recorders to standalone encoders and network digital recorders. LOREX Technology Inc., provides businesses and consumers with leading video surveillance security solutions and sells its products through distinct market channels. The LOREX brand, which caters to both small business and consumer markets, is available in over 9,000 retail locations across North America and the U.K.
and has an established market presence online selling through major e-tailers and through its in-house webstore. A professional division distributes the products through major distributors. LOREX offers wired, wireless and IP security surveillance equipment including cameras, digital video recorders and all-in-one systems. See the difference with Lumenera’s high definition and megapixel IP network cameras. Specifically designed for critical surveillance applications, Lumenera's IP cameras provide unrivalled image quality and performance. Product highlights include VGA through 11 megapixel resolution, 4X to 32X greater image detail that typical CCTV, true day/night functionality and three intelligent camera models with on board video analytics. As industry specialists in OEM customized design services, Lumenera is able to meet your specific application requirements. Contact us with your surveillance imaging needs. Mega IP is the latest up and coming manufacturer of IP Technology from Korea. We have taken direct input from security professionals worldwide and incorporated many new industry defining technologies into our products. From basic fixed view models to optically zooming cameras that focus themselves, Mega IP offers a variety of chassis types to fit the application at hand. The line starts with a 2 Megapixel resolution, which is a cut above the current industry 1 Megapixel standard. By innovating and pushing market standards, Mega IP is striving to become the best in the IP technology market. MESSOA is at the forefront of surveillance technology. In the pursuit of product excellence, MESSOA leaves nothing unturned. Strategic alliances with global leaders combined with heavy investment into product research and development, manufacturing performance, engineering superiority and a vigorous hold on global trends all make IP the backbone of the MESSOA brand. We distribute surveillance products in 65 nations, providing protection for tens of thousands of facilities in every corner of the world. Milesight is a professional high-tech enterprise in manufacturing and exporting of network video surveillance products. With seasoned R&D team dedicating to the innovation and development of high-definition network video surveillance technology, via its world-wide marketing and distribution network, Milesight provides diversified customers from all over the world with state-of-the-art surveillance products, excellent and efficient solutions and service. On-Electronics is a Brazilian leader in CCTV market, for analogue, IP and SDI technology. A core group of expert and dynamic professionals, always offers state of art Technology and reliable solutions for the clients and market needs. in the world, comprised of over 634 companies. the Panasonic brand to enhance and enrich lifestyles all around the globe. Pelco, Inc. by Schneider Electric is a world leader in the design and development of video and securitysystems ideal for any industry. Pelco produces the industry’s most respected offering of discreet security camera domes and enclosures, video matrix systems, virtual matrix, VMS, next-generation DVRs, Full HD LCD displays and megapixel cameras, IP cameras, other IP/IT solutions – and much more. For additional product or company information, please go to Pelco.com. To learn more about the Pelco Partner First Program, simply visit Partner First. For the most recent press releases: Pelco Newsroom. PiXORD, founded in the year 2000, is a global manufacturer specializing in video-over-IP security products including Network IP Cameras, Network Video Servers, and Storage Solutions. PiXORD delivers a full range of Video-over-IP Security products for the Industrial, Professional and Small Office/ Home Office environments. With the experience to make products that are a cut above competitors’, our mission is to provide our products with innovative technology, state-of-art quality and make life and communication simpler, faster and better. PLANET Technology Corporation is a leading global provider of IP-based networking products and solutions for small-to-medium-sized businesses, enterprises, and SOHO markets. PLANET designs, deploys and delivers innovative IP solutions with converged data, voice, and video deployment over the wide range of networking technologies. PROBE Inc., a South Korean Company, is a leading high-tech IP-video surveillance manufacturer. Based on hard earned experiences and creative technology, PROBE is already famous for professional and unique IP PTZ dome cameras with built-in Motion Tracking and Auto Map Generation features. PROBE was established in 2006 and their combination of both own IP and PTZ technology has been evaluated as top level for a technology company. PROBE has released many new HD products including new HD Dome, HD Box and HD Bullet camera from 2011 to diversify its products-line and all IP products are applied with ONVIF protocol. RIVA offers its customers a full IP camera line and IP encoders with integrated video analytics in each product at a price of a standard camera. The RIVA product range comprises powerful and universally deployable surveillance cameras and servers for both – indoor and outdoor use. Therefore, RIVA box cameras, cube cameras, dome and PTZ dome cameras, IR and bullet cameras are bound to impress with their excellent image quality at resolutions from VGA / D1 to 2 megapixel / 1080P HD. ROVER SYSTEMS is a worldwide provider of a wide array of high quality, and reliable CCTV security products used for different applications. Our products are used in retail, commercial, industrial and government sectors to deter theft and crimes; as well as, to protect people, property and information. We offer cost-effective solutions for varied security requirements and we put a lot of emphasis on customer satisfaction. SAE is China’s leading CCTV manufacturer and designer, providing full HD IP cameras, high speed domes, integrated positioning systems, keyboards and matrixes, etc. Under JPEG/MPEG-4/H. 264 codec technology, SAE realize easy but intelligent surveillance. Also it meets tailor need for high profile projects. SAE strictly follows ISO9001 and ISO14000. Its products comply with CE, FCC, UL and RoHs, etc. Samsung Electronics, the best leading company in the electronics industry, has developed and implemented cutting-edge technology applicable to both home and industry security. Examples of Samsung Electronics' significant contribution to video surveillance equipment development include products such as IP network camera, Digital Recording system, and convetional analog CCTV camera. We seek to become a corporation that is loved and trusted by people around the world by developing unique technologies and offering excellent products and sincere services. The Group seeks to become "as indispensable as the Sun" for the people of the world. For more than 20 years, SANTEC has been one of the leading brands for products, systems and solutions in the field of video surveillance technology. SANTEC provides the full range of CCTV cameras, digital video recorders, system components, network cameras, network servers and software as well as equipment and accessories for different applications and requirements. The product management and quality control of the SANTEC products take place in Germany. With SANTEC products you are sure to always receive innovative and proven systems. Seorim Technology was established in Dec.20.1999 by CEO, Jung Min Lee in Seoul. Seorim began the business by making Military Radar Transmitting & Receiving Equipment. But for now, we are focusing on IP products and Micro DVRs. Starting from network video server to network box camera/ dome camera and decoder as well. Half of our staff are in charge of R&D so that we can be more flexible to our customers’ needs. We are giving our every effort to be the best of best. And Seorim will always be. SHANY Electronic Co. Ltd. is a ISO-9001 certified world leading camera manufacturer in security surveillance camera industry since 1994 from Taiwan. SHANY offers quality IP products by using SONY Exmor Technology, which enable our products come with WDR(Wide Dynamic Range) and also come with a better low light sensitivity. The award winning at Secutech Expo on both 2011 and 2012 is the best guarantee to SHANY camera’s quality and design. SHANY offers complete camera product line in IP, HD-SDI and Analog Cameras. SHANY’s IP Camera line is now supported by NUUO solutions from our 1M/1.3M, 3 Mega Pixel to 1.3M IP Speed Domes. For a better quality experience, please try SHANY IP products! Sony Corporation is a leading manufacturer of audio, video, game, communications, key device and information technology products for the consumer and professional markets. With its music, pictures, computer entertainment and on-line businesses, Sony is uniquely positioned to be the leading electronics and entertainment company in the world. In the video surveillance market, Sony is a pioneer of CCTV & IP Video monitoring systems, continuously adopts an innovative approach to enhancing its surveillance systems by incorporating both the latest technologies and a number of unique features. Sony IP cameras are recognized globally for its high-quality images and operational efficiency. StarDot Technologies is a designer and manufacturer of multi-megapixel IP video solutions and has built a reputation on image quality, ease of use and reliability. The StarDot video and compression engine found in the NetCam SC cameras is built on15 years of digital image processing experience. The NetCam SC security line is sold through international security channels and is available through ADI and other distributors in the US and Canada. StarDot provides megapixel solutions for a variety of market segments and applications, including retail, campus security, 180°/360° surveillance and license plate capture. Since its foundation in 2002, Sunell Technology Corporation has aimed to be a top international security enterprise, and provide prominent marketing service. Sunell has a high level R&D technology platform, high R&D procedures, and implements a RUP management system. Sunell is the 'National Hi-Tech Enterprise', and has been awarded by Shenzhen government as 'Top 100 Software Enterprise' and 'Honesty Enterprise’. Sunell is the executive director and vice president enterprise of China and Shenzhen Security & Protection Industry Association respectively. Sunell is ranked as Famous Brand by Shenzhen government and China Security & Protection Industry, Top 10 Security Brand in China Market, Top 10 Influential Chinese Security Branch. Specializing in video surveillance security solutions field since 1992. With comprehensive and complete product portfolio of both analog cctv and IP surveillance products, we offer security system total solution. Our focus is customer, our foundation is our people, our core is quality, our challenge is innovation and technology. This dedication and strong commitment has enabled us to maintain the best performance standards in the security industry, and gain excellent world reputation. The versatile TelView CCTV system is an excellent choice for a cost-effective solution to both consumer and professional markets. A fixture in the CCTV industry since 1987, Toshiba Surveillance & IP Video Products Group markets a wide range of video surveillance solutions including network-based IP cameras, analog cameras, digital video recorders, software, video servers and accessories. Its mission is to provide superior technology, service and value to surveillance professionals and to move the industry forward by consistently introducing innovative products into the marketplace. Headquartered in Irvine, California, Toshiba Surveillance & IP Video Products Group is a business unit of Toshiba America Information Systems, Inc., and is responsible for all sales and marketing efforts in the United States, Canada, Mexico and Latin America. TRENDnet's vision is to build innovative, easy to use, and reliable Networks People Trust. Founded in Torrance, California, TRENDnet has grown to become a leading global networking and surveillance hardware brand. From the network core to the periphery, TRENDnet's expansive product portfolio includes Wireless, Wired, Connectivity, Peripheral, Cloud and IP Surveillance solution categories. The TRENDnet brand is consistently recognized for exceptional quality, superior performance, and responsive support. Truen provides high quality of video which is based on cutting-edged of H.264 compression algorithm. IP Megapixel Camera (2.0M & 1.3M) and HD Video Server provide flexible and scalable monitoring for network video surveillance. Especially, it makes possible to recognize small objects such as long distance person’s face and car plate without specific application. Truen supports not only IP Camera & Video Server but software such as CMS, NVR and Streaming Server S/W. As total solution provider in network video surveillance, Truen can provide customers with various type of solution with IT infrastructure from the basic to complex demand. Videosec brand is a self development and is a general leader of CCTV, digital video recorders, system components, network cameras, network servers and software as well as IP surveillance solution on the market. Videosec cameras earned reputation in the past 15 years by their user-friendly solutions and continuous innovation and improvement. In 1999 the R&D team has developed the smallest waterproof camera that is still a leading product of the brand. The development team has contributed a great deal in the standardisation of it’s own IP cameras. Being one of the first members of ONVIF our R&D team has contributed a great deal in the development of a global standard for the interface of network video products. VITEK Industrial Video products, Inc is a manufacturer of Innovative, premium Quality Megapixel IP Cameras with PoE and Built-In SD memory for Edge Recording. Designs include 2.1MP High Speed Pan-Tilt-Zoom Domes as well as Medium to long range fixed Infrared domes and Bullet style cameras. All VITEK products are value-centric and carry a 3 year warranty with an unequalled commitment to customer support. For more information visit www.vitekcctv.com. The Vista VIP2 range is the market benchmark range of highly featured /high performance IP cameras, speed domes and encoders. Offering products suitable for the vast majority of applications, ranging from VGA (640x480) resolution cameras right through to 2MP units in both 4:3 (1600x1200) & 16:9 full HD 1080P (1920x1080) formats.All products in the range can be easily configured, viewed and controlled using a number of different common internet browsers, including Internet Explorer, Firefox and Google Chrome.Vista is committed to the development and extension of the product range in order to take advantage of the latest technologies and features as they become available. VIVOTEK INC. has been a leading IP surveillance manufacturer since 2000. VIVOTEK offers a full range of state-of-the-art IP surveillance products. In 2006, VIVOTEK (TAIEX: 3454) was listed on the Taiwan Stock Exchange. In 2007, VIVOTEK spun off its SoC division into a wholly-owned subsidiary VATICS to focus on multimedia SoC development. VIVOTEK has built up extensive distribution networks in over 70 countries. With rapid sales growth, it established a US subsidiary in California in 2008 to provide prompt services and support. Y-cam Solutions Ltd is a London based company focused on providing innovative video IP solutions best-suited for residential and SMB markets. We have a unique position within the market as we design, manufacture and market our own range of easy-to-use wireless internet video cameras. Our development team is able to develop our core principles into products that are the best value-for-money in their class and the easiest to install. Y-cam - view your world from anywhere... anytime. Professional network camera manufacturer, we provides full range of networking camera, standalone NVRs, and intelligence software. We customized customer’s network project and keeping customer’s wish our target command. Zavio, founded in 2006, is an IP surveillance solution manufacturer with industry-leading Research & Development capabilities. Zavio’s strength lies in the exceptional capability to develop embedded systems; integrate network, communication and multimedia streaming; as well as our endless thrive for improvement and innovation. In 2007, Zavio's World's Smallest IP Camera Module has been nominated for Best New IP Product at IFSEC. In 2009, Zavio has released a full range of advanced H.264 Megapixel IP cameras and will continue to develop state-of-the-art IP surveillance products. Gallagher is a global technology supplier of integrated security solutions. Encompassing both hardware and software systems, Gallagher delivers electronic access control, intruder alarms management, perimeter security, and compliance management, through a single integration platform, Gallagher Command Centre. Gallagher security solutions are employed in all major industries throughout the world, including ports and airports, critical infrastructure, mining, corrections, banking, education, and health. As compliance increasingly becomes a key focus for organisations, Gallagher delivers innovative security solutions with the functionality to mitigate risks, and comply with operational and regulatory policies. For more information on Gallagher Security Solutions, visit security.gallagher.co or email info@security.gallagher.co. With its important share of the French market and its international influence, CDVI is a leader in the access control and locking industries. Established in 1985, CDVI has been growing steadily and significantly. To date CDVI has 21 subsidiaries worldwide with a total of around 250 employees, half of them in France. Headquartered in Pantin (Paris, France), the CDVI group consolidates all its manufacturing and commercial subsidiaries around brands with a proven Reputation and a strong identity. DSX Manufactures Integrated Solutions for the Access Control and Security Industries. Based in Dallas Texas, DSX designs all Software and Hardware in house. "Integrated Solutions and real world applications are what we do best." Paxton is the UK designer and manufacturer of market leading electronic access control. Established in 1985, based in Brighton, Paxton manufacture all products locally. We aim for engineering excellence, which means creating intelligent and innovative products that are fi t to meet the challenges and trends of the access control industry. We pay exceptional attention to the development of high quality products, customer care and support. Paxton has become a market-leader through our constant efforts to exceed the expectations of our customer base; we continue to enjoy significant international expansion. Keri Systems is one of the world's most popular providers of access control and integrated security systems. We offer systems to meet requirements of all types, from simple systems for just a few doors to systems with larger scale and even enterprise requirements, with integrated video, photo badging, biometric, graphic maps, telephone entry and many other powerful features. In 1995, Lenel launched OnGuard®, the first open architecture security platform, to help customers achieve ultimate integration flexibility on every aspect of their system, from access control and video management to operating systems and databases. Today, Lenel provides solutions for corporations worldwide, including Fortune 100 firms, financial institutions, universities and government facilities. With OnGuard, we continue to advance our capabilities to support our customers' current and, even more critically, their future security requirements. The open architecture that allows OnGuard to integrate seamlessly with advanced third-party technologies also enables cost-effective system migration and protection of legacy investments. With industry-leading education, technical support, professional services and custom solutions, Lenel remains committed to creating a superior experience for every customer, every time. Lenel is part of UTC Building & Industrial Systems, a unit of United Technologies Corp. (NYSE:UTX). ASRock Inc, established in 2002, devoting efforts to bring customers the innovative and reliable motherboards with the design concept of 3C, "Creative, Considerate, Cost-effective". ASRock has successfully established a well-known leading brand of the best price-performance motherboard in the industry. Recently, ASRock continuously expands product lines and has successfully launched Mini PC, MultiBook and Intelligent Hybrid DVR products for today’s most demanding technology. We are also honored as the world’s first motherboard / Mini PC manufacturer that achieved the ErP Ready goal. Proware by Unifosa, is one of the leading storage vendors in the world and is always eager to provide customers and partners the best storage solution which meet their demand and specific application based on our over 18 years domain know-how and engineering experience. Proware by Unifosa, provides storage products for virtually all areas of the storage market such as airport, banking/ATM, Library, Hospital, CCTV, casino and etc. With a full range of RAID storage products, NAS Solutions & iSCSI Solutions, we offers complete solutions for all of customer’s needs. Our products provide all storage interfaces including SAS, SCSI, iSCSI, SATA and Fibre Channel. We’ll never stop moving forward to provide better and nicer storage solutions! For further information, please visit official site: www.proware.com.tw. MICROS Systems, Inc. is the leading provider for enterprise applications for the hospitality and retail industries worldwide. Over 330,000 MICROS systems are currently installed in table and quick service restaurants, hotels, motels, casinos, leisure and entertainment, and retail operations in more than 180 countries, and on all seven continents. In addition, MICROS provides property management systems, central reservation and customer information solutions under the brand MICROS-Fidelio for more than 26,000 hotels worldwide, as well as point-of-sale, loss prevention, and cross-channel functionality through its MICROS-Retail division for more than 100,000 retail stores worldwide. MICROS stock is traded through NASDAQ under the symbol MCRS. Established in 1980 (then known as T.E.C. ), National POS Systems has progressed from the electronic cash register to integrated systems by adding value to leading worldwide POS manufacturers with the ‘local touch’. Local development includes hardware design and modifications, peripheral design and interfacing, in-house software development for back office stock management, accounting and data automation. Local & Wide Area Network implementation & a general IT partner to our clients. As a company providing technical security services, Tenzor has been designing and installing comprehensive technical security systems for 19 years. The solutions it offers have been designed for the retail shop, industry, telecommunication, banking and public administration sectors as well as for households. At the customer’s request, our cooperation may begin with a security risk evaluation and consultancy, and continue with the design and implementation of a security system. Having our own Design and Development Department enables us to offer tailor-made security solutions with our primary goals being a quality implementation and fulfilling our customers’ wishes. Posiflex Technology Inc, has since grown to be a world leader in the design and manufacture of touch screen terminals and peripherals. These terminals have been deployed globally across multiple industries and applications including retail Point-of-Sale, health care, hospitality, kiosks and more. This successful growth is based on understanding and meeting our customer requirements so they can build successful businesses, which in turn builds ours. There are four fundamental goals Posiflex is built upon, 1) Revolutionary Technology, 2) Reliable Quality, 3) Reasonable Price and 4) Recognized Service. In almost 25 years Alarm automatika Ltd. expanded and became the largest distributer of technical security equipment in the SEE region and one of the largest system integrators of technical security in Croatia. Position as regional leader is assured by extraordinary offer range of equipment and by supporting services which enable us to take over the necessary steps of implementation of technical security systems of all sizes and purposes: supply of system components, technical and project support, installation and maintenance, development of software that allows integration and centralization and continuous partner education. Alarm automatika’s solutions are based on eminent, world known and own brands. Own IT development department supports the implementation of the newest technologies and also develops software for centralization and integration for which market requirements are growing exponentially. Both software’s supports Nuuo products. The software for centralization ABSistemDC(NG)® is one of the most used software’s among regional alarm monitoring companies. Several awards for patented module “Video verification of alarm signal” are approval of constant development. The software for integration ABSistemDCi® allows monitoring and control of all the integrated electronic security systems through a single interface and is accepted from users in whole region and has been rewarded by Croatian Grand Prix Security award in 2012. in category “Innovation in electronic security field”. 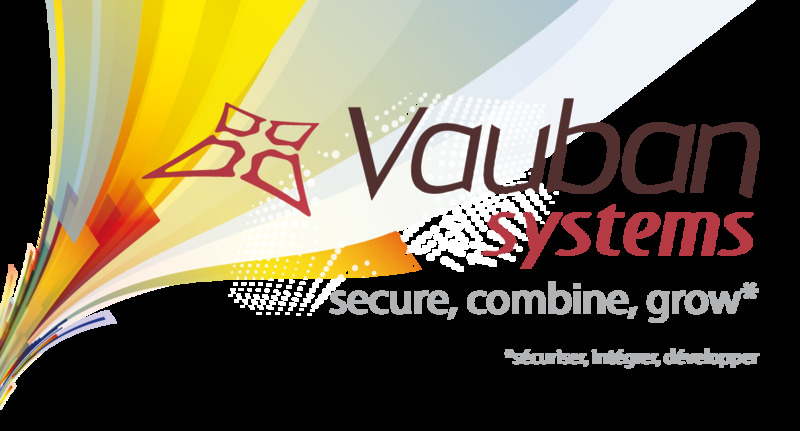 Vauban Systems is a French company specializing in physical access control. Our aim is to develop complete security solutions that are reliable and very easy to use, to facilitate the day-to-day operations of our end customers. We design, develop, integrate, and personalize our technical offering to provide you with ever simpler and more intuitive control over physical access to your site. Vauban Systems is the sole point of contact for its customers. To ensure this, we attach the utmost importance to every stage of your project. To enrich and consolidate our technical offering, we set up solid partnerships with reliable service providers selected from amongst the most innovative players in the market. For more information, please visit our website: http://www.vauban-systems.fr/. 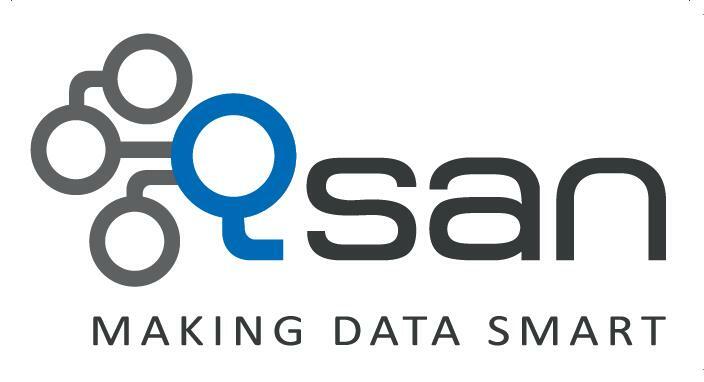 ASAN Security Technologies Oy is Finland based pioneer of IP-based surveillance video solutions with over 10 years of experience of challenging video applications. ASAN’s specialties are network recorders, large centralized monitoring solutions that integrate several different vendor VMS solutions and integration of video systems into other product systems. ASAN’s advanced software based products are offered under the ASANTech® brand by several partners in various markets. Desarrollo de Sistemas Integrados de Control S.A. (DESICO ©), offers engineering solutions in automation and control projects related to the security market. Its activity is focused on the development, implementation and commissioning of systems Integration using our own technology and products. The company, founded in 1992, is composed by a team of professionals with extensive experience in developing control systems, especially in the area of security. 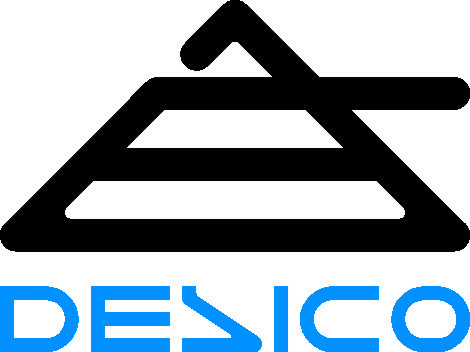 The main feature of DESICO © is its high degree of commitment to the robustness, reliability and innovation in manufacturing computer Control Systems, which has helped us to become one of the leading companies in the industry with over 4,000 licenses provided. DESICO © manufactures the Integration system "VIGIPLUS", a suite of applications consisting of personalised SCADA for managing and integrating security systems, such as Intrusion, Fire, CCTV, Access , Visits, Accreditations, Patrols and also Automation and Control systems. A long list of relevant projects speak for the quality and reliability of the products and of the professionals involved. Our commitment to service, research, development and innovation are paramount to our business. Our main goal is the implementation of Security control and integration projects, making use of our own system and working with all equipment manufacturers. From a business point of view, DESICO © is a manufacturer of integration systems, and our natural client is the approved installer. Conwin Tech, Ltd is the most sophisticated designer of central monitoring station softsware and integration software in China. With the feedback of more than 3000 applications, our products become more and more customizational that always offer you excellent solutions. Vizbee develops and markets the industry's first fully parameter driven Real-Time RFID comprehensive solutions for the Tracking and Protecting Assets, Persons Logistics, Healthcare, Museums, Parking, Manufacturing, Construction sites, and Other Industries. Vizbee's products support most of today's leading RFID hardware technologies as well as GPS/GPRS/GSM. Vizbee's open architecture, evolutionary and scalable generic platform is the ideal solution for integrators and distributors deploying RTLS systems in any type of organization. TechnoAware produces technologies and solutions for ambient intelligence. TechnoAware’s VTrack video analytics module can detect, track and identify the suspicious object and send alarms to NUUO recording system (Mainconsole). The video analytics are suitable for different applications in multiple industry segments. UDP is a leading provider of video analytics solution for the security and IP surveillance industries. UDP provides camera-embedded video content analytics that can be sent to the NUUO recording system (Mainconsole).